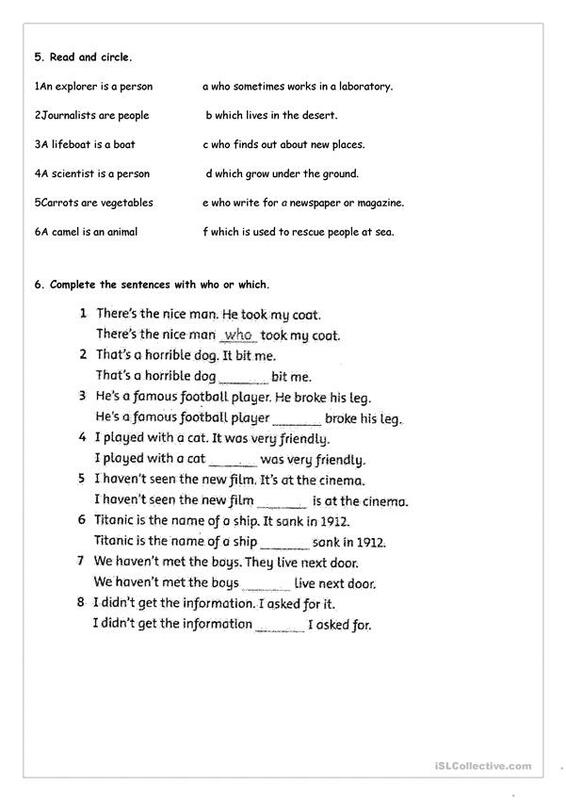 It is a worksheet with a grammar guide and easy exercises on relative pronouns. 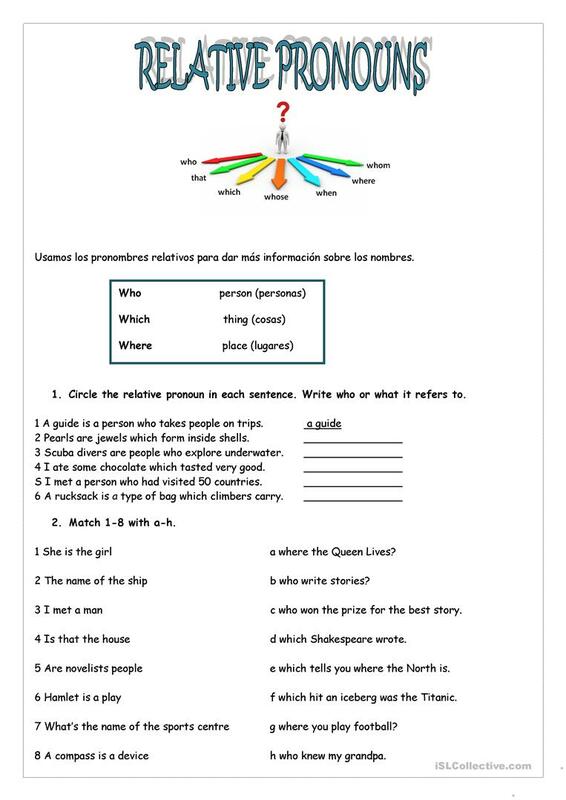 Students can learn relative pronouns and how to use them in an easy way. Explanations in Spanish. The above downloadable teaching material is meant for elementary school students at Elementary (A1) level. 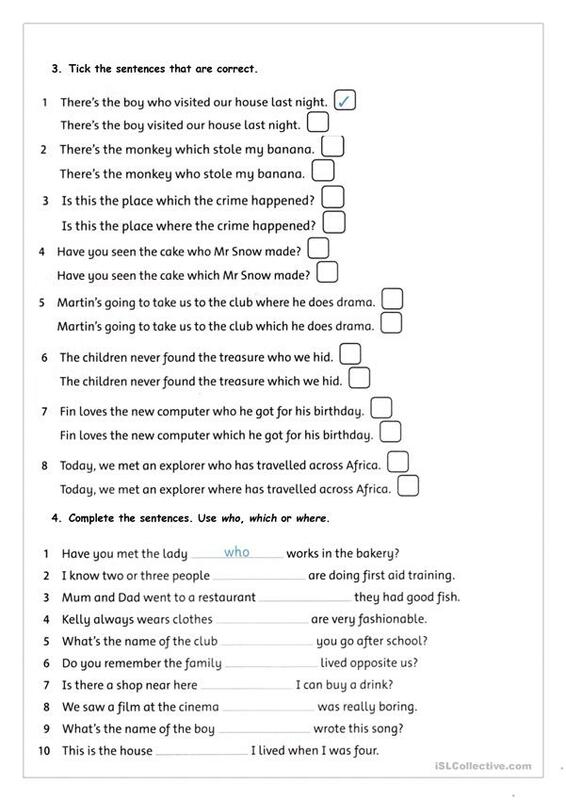 It is aimed at practising Relative clauses in English.